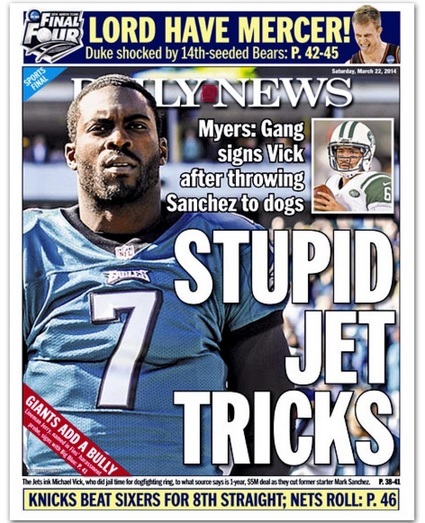 The news that Michael Vick has joined the New York Jets and Mark Sanchez has been sent packing is front and center today on the sports pages of the Post and Daily News. In both cases, editors came up with clever puns. 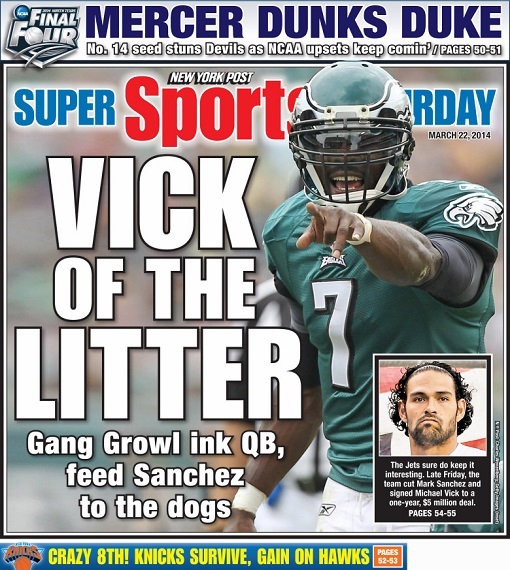 Any time something good happens to Vick, there is an onslaught of angry criticism directed at the athlete’s supporter(s) by dog lovers and animal rights activists. 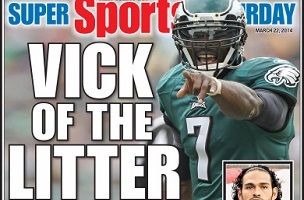 Jets public relations staff can expect some relentless, ALL-CAPS vitriol.